The Macan was Porsche's best-selling model last year. FRANKFURT (Bloomberg) -- Porsche expects its global sales growth to slow this year as newly arriving models fall short of the lift generated in 2015 by the addition of the Macan compact SUV. A new generation of the Boxster roadster this spring and the Cayman hard-top variant later in 2016 will fuel "solid" growth, but at a slower pace than last year's 19 percent surge to a record 225,121 deliveries, Detlev von Platen, head of Porsche sales, said Monday. 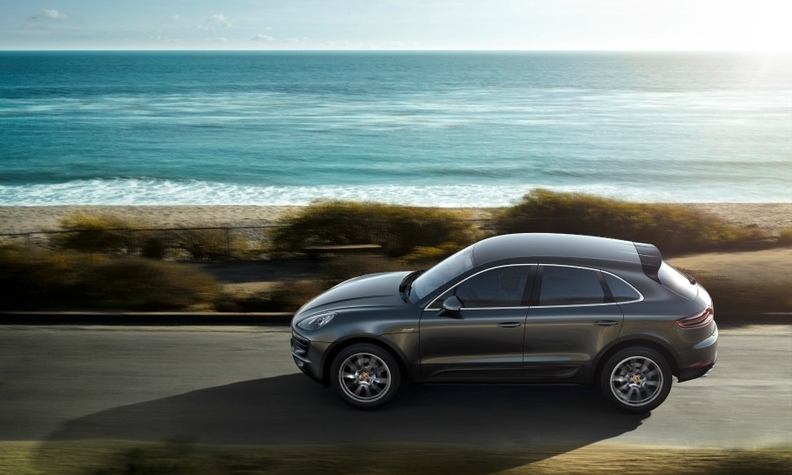 The Macan was Porsche's best-seller last year with more than 80,000 delivered. Porsche's growth is critical to parent Volkswagen Group's efforts to move beyond a scandal over diesel cars rigged to pass emissions tests. The maker of sports cars and SUVs, VW's most profitable division, is expanding as Europe's largest automaker looks to trim spending to stem the mounting costs of the crisis. Porsche last month approved a 1 billion euro ($1.09 billion) project to produce a battery-powered sports car, which will create 1,000 jobs. The company remains keen to defend its high margins by not pushing sales growth, von Platen said in Detroit at the auto show. "We need to retain the brand's exclusivity, safeguard residual values and also ensure profitability of our dealers," the sales chief said. "We won't push volumes." Porsche will gradually phase out the Boxster and Cayman names this year, redubbing the two-seater sports cars as the 718 model line over the course of 2016. The vehicles will both be equipped with turbocharged four-cylinder engines, with the roadster costing slightly more than the hard-top variant.